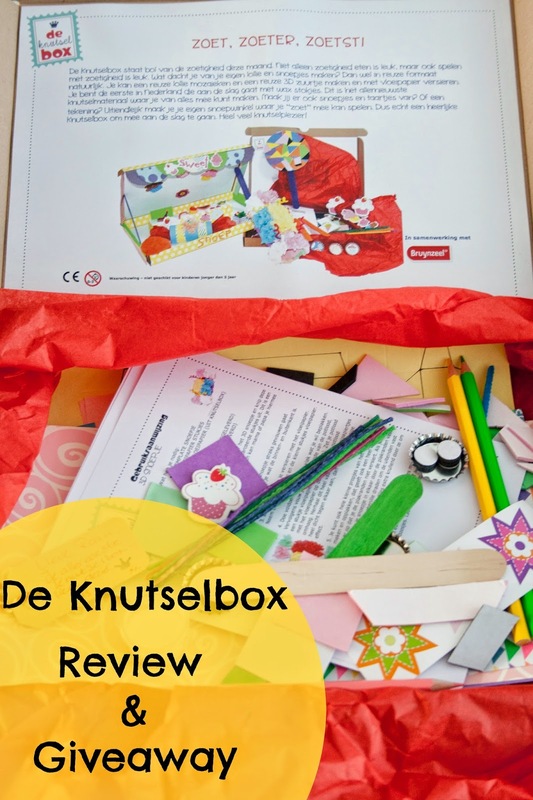 We had the pleasure to receive an edition of De Knutselbox to review a while back. Keep reading to find out what we thought of it and to have a chance to win a Knutselbox of your very own. How cool is that?! Last year I met the lovely Agnes who runs De Knutselbox during the Flavouriteslive event. I was very very happy we finally had something like this in the Netherlands. I had seen these kinds of craft kits for kids (pun intended) on the internet before but they where sold in the US only. 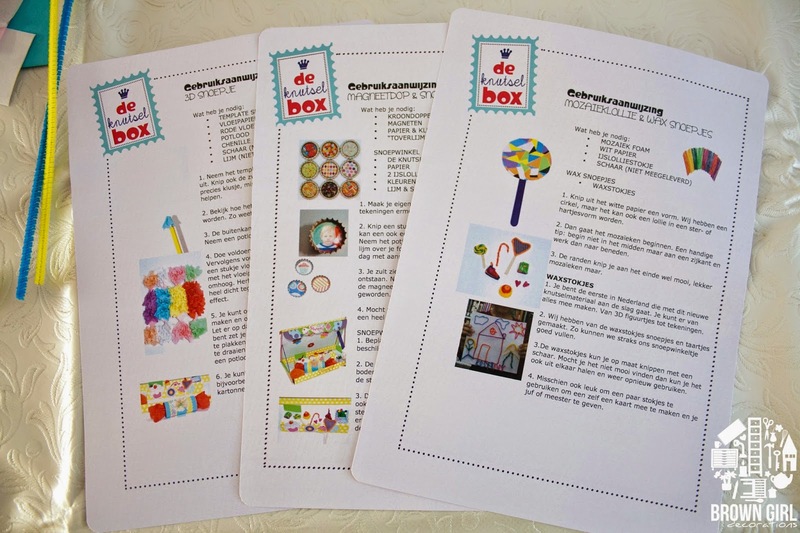 De Knutselbox is a craft kit for children ages 4 to 7 that offer different themed boxes each month. 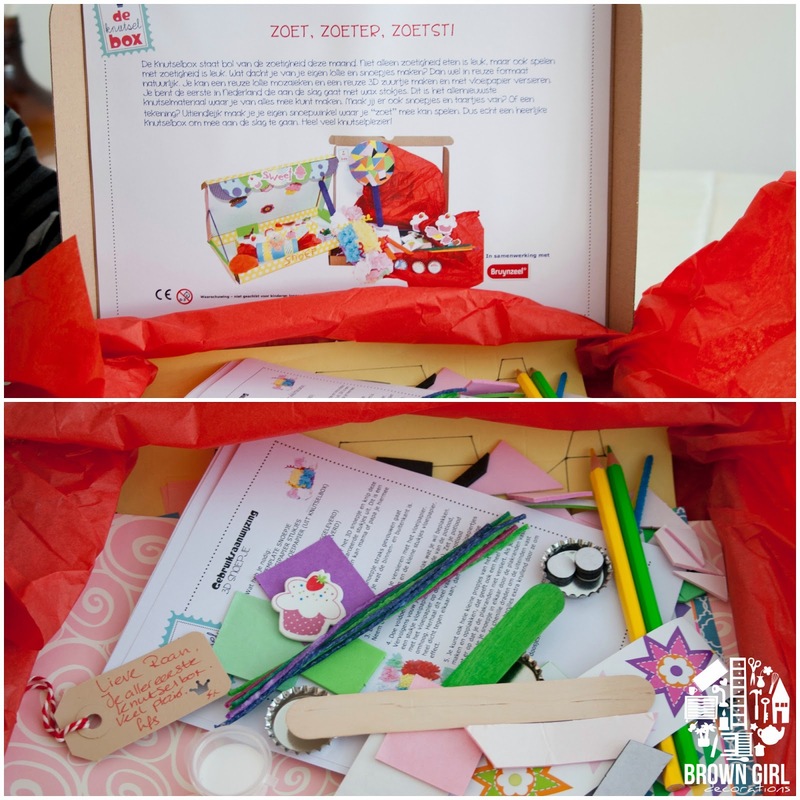 The box is filled with fun and educational craft projects. The child receives the box through the mail addressed to them personally. 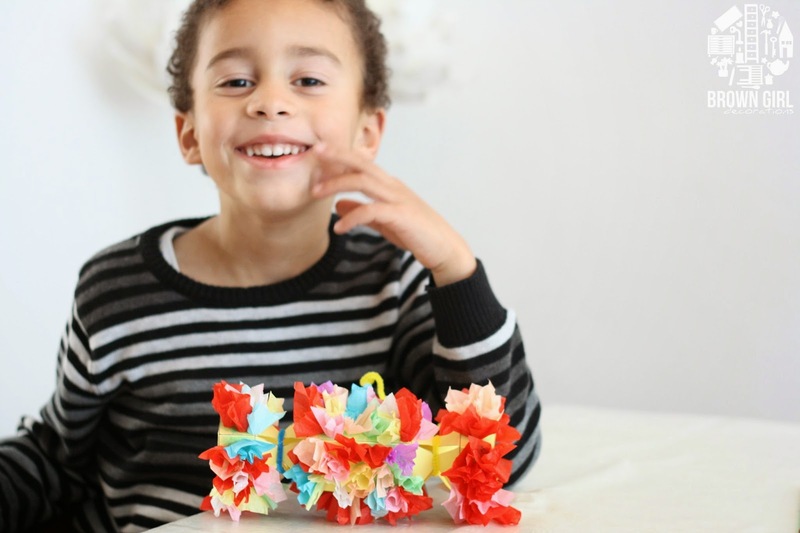 It contains everything you need to make the different projects (except scissors and craft glue). You can sing up for as little as €14,95 to receive the Knutselbox monthly. Each month you can win the golden Knutselbox. If you win the golden box you win a free 6 months subscription to De Knutselbox. My oldest son RJ and I love to craft together so we where jumping at the opportunity to get started once the box came in the mail. We had the candy themed box and it looked like this. The box included 5/6 projects (one of them we needed to add an empty toilet paper roll) in the candy theme with detailed how to’s to recreate them. We had enough materials to complete the projects. Even the box it came in was used to make the candy store. We spread out all the projects over the course of a few weeks so it will entertain the kids for quite some time until the next Knutselbox arrives. 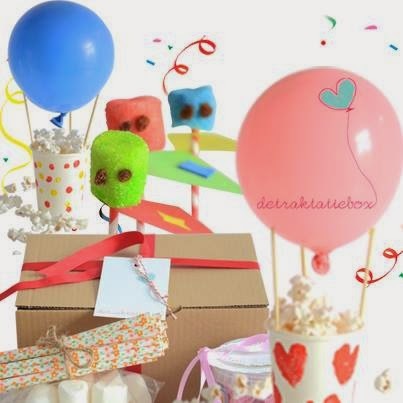 De Knutselbox launched a brand new product, the Traktatiebox (treats box). De Traktatiebox comes in a few different versions, for boy and for girls. There are enough materials to make 30 treats. Visit De Knutselbox on Facebook here for more information. De Knutselbox is giving 2 of our readers a chance to win one Knutselbox each. What you need to do is enter using the Rafflecopter gadget below. This giveaway is open to Netherlands only! Giveaway closes on 18 May. I received this product free of charge to review and write about on the blog. However all opinions are 100% my own. I only bring products to your attention that I love and that I feel you might enjoy also.